51" Happy Birthday coil tail Airwalkers balloon. 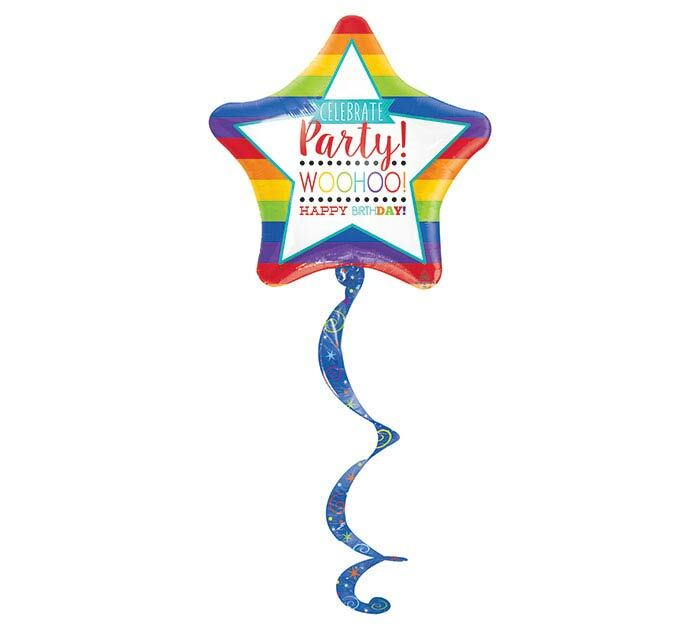 Star shape foil balloon with rainbow stripes. Message: Celebrate, Party!, Woohoo!, Happy Birthday.